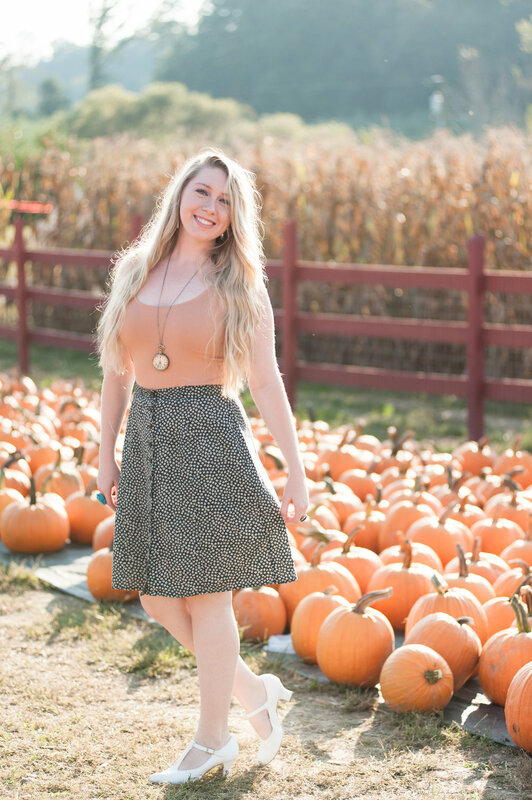 My favorite time of year is here and I was so excited to do a fall photo shoot! We took these at Grandad’s Apples, a cute local apple farm. 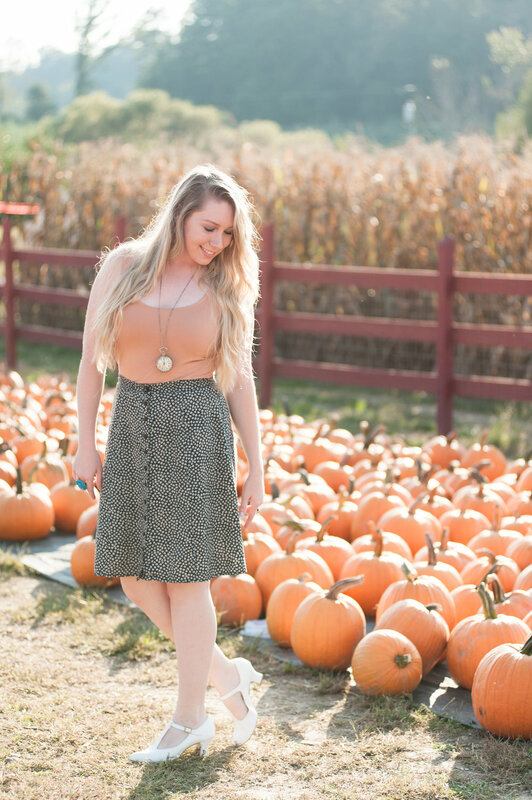 They have a corn maze, a shop with baked goods, and of course my favorite, the pumpkin patch! They have a lot of cool stuff for the kiddos to do too! I really wanted to put a cute long cardigan on top of this outfit but it was still in the 80’s when we shot these, it’s crazy! 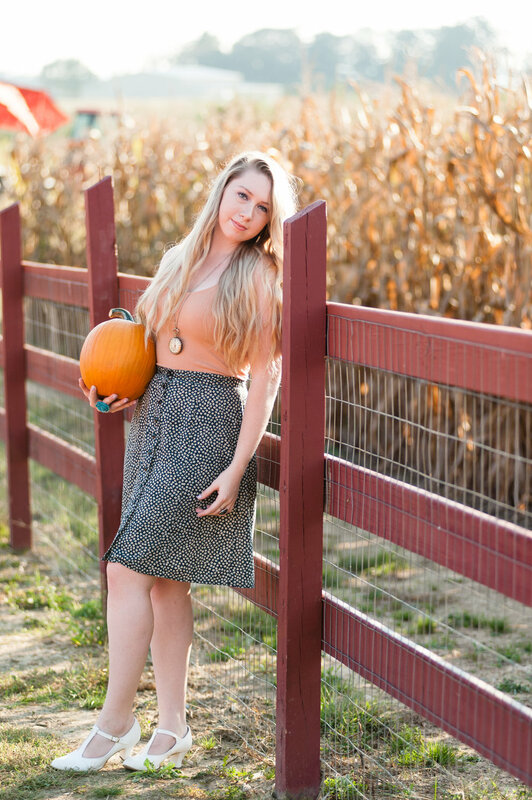 Anyways, I hope you enjoy these warm fall fashion inspired photos! I thrifted this skirt this week during our trip to see Florence + The Machine in Charlotte! The shop was called the Buffalo Exchange, they had tons of gently used clothing from places like Urban Outfitters, Forever 21, and even truly vintage pieces. I also picked up these vintage white Mary Jane heels at a local thrift shop about a year or so ago, I’ve been dying to feature them here! I love carving pumpkins with my mom every year, but I decided to get this little pumpkin to paint! I think I’ll try to make another spooky Halloween post of our painted and carved pumpkins. Joe and I are working on our Halloween costumes too! 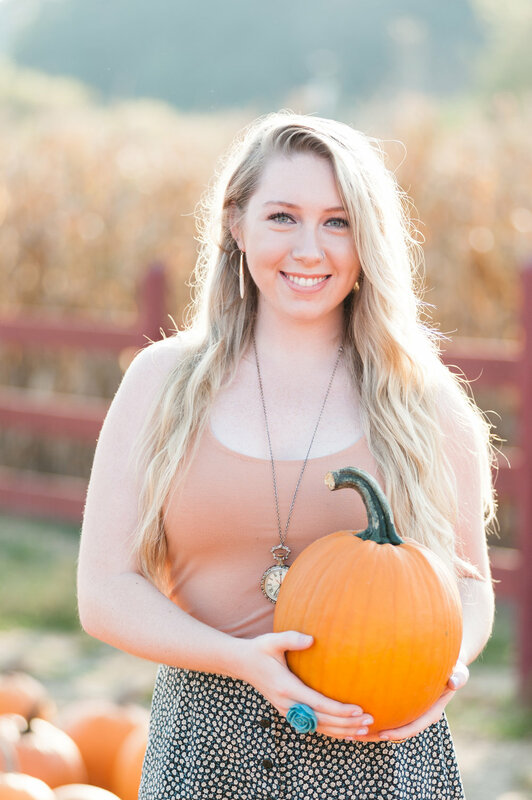 I hope you all have a great fall season and get your fill of pumpkin spice! Big shout out and thank you to my love Joe for taking these wonderful photos.